Clashcame is a townland name, interpreted by John O'Donovan as Clais Céim, 'trench of the step'. 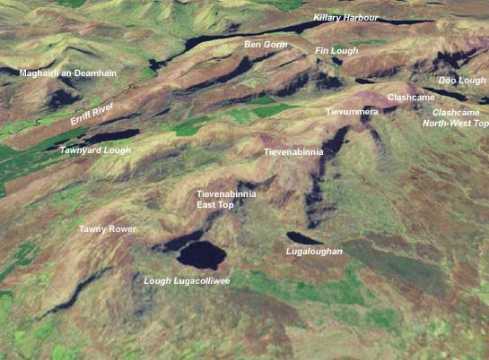 This seems to relate to the name Cuscamecurragh, which on Bald's map of Co. Mayo (1830) refers to part of the high ridge of the Sheeffry Hills (see Tievummera). 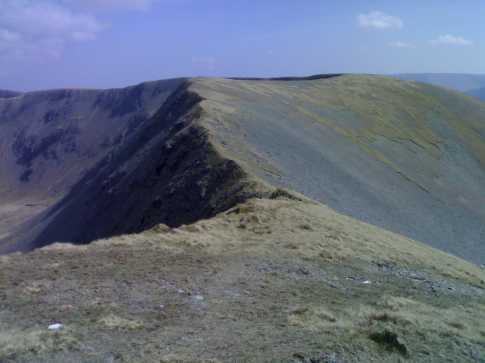 Clashcame is situated at the western foot of this ridge. Barrclashcame is the top part of the townland. Previously Clashcame in MV. 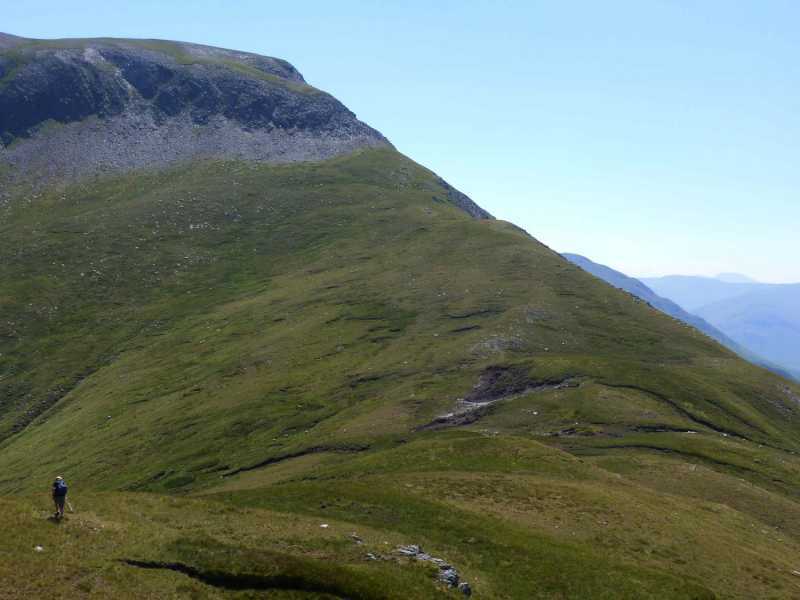 Walks: for a route along the main E-W ridge of the Sheeffry Hills, see Whilde & Simms, New Irish Walk Guide - West and North, 62-63. 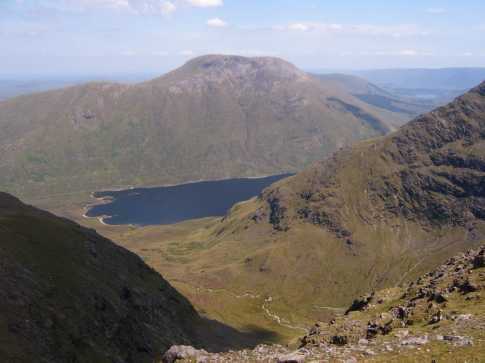 Barrclashcame is the highest mountain in the Sheeffry Hills area and the 62nd highest in Ireland. 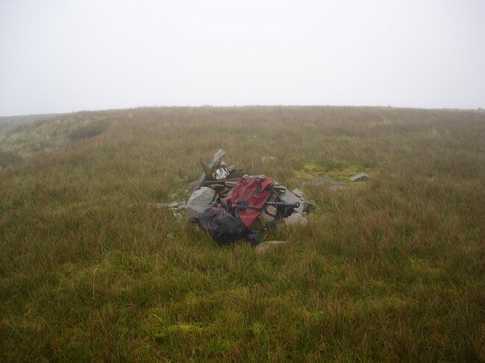 Barrclashcame is the second most westerly summit in the Sheeffry Hills area. After coming off Ben Gorm well soaked, I drove the few minutes to the base of this hill. The obvious layby had a sign saying parking for fishermen only, so I parked on the beach through a gap in the wall. Weather was still heavy rain and high wind, feet still soaked.